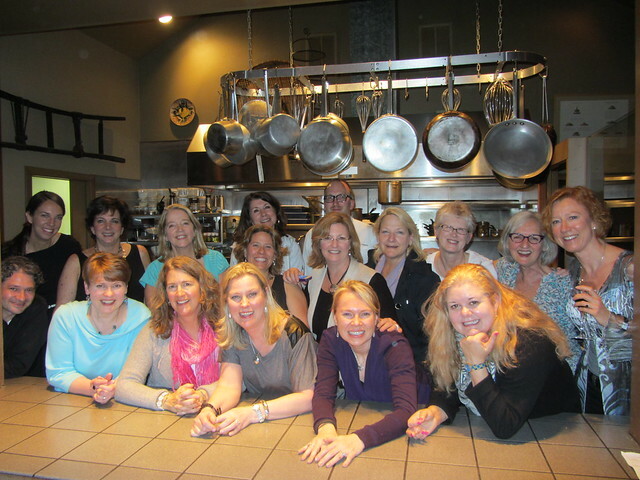 I had the pleasure of spending last weekend with one of my Mastermind Groups (what’s a Mastermind Mind group? I’ve written about the concept here). The Women President’s Organization operates chapters all over the world for women entrepreneurs that gross over $1million in revenue and are running companies. The group exists to foster business education and relationships and help all the members on their entrepreneurial journey. I’m on hiatus from the group after having the oh-so-lovely Jamisen (side note: apparently he really is lovely because everywhere we go, he is mistaken for a baby girl) but was honored and thrilled when the group asked me to join them on their annual retreat. The retreat was held at the Inn at Langley. The Inn at Langley has made all kinds of ‘Top this and that’ lists for best destination, best food etc… and it lived up to its reputation. 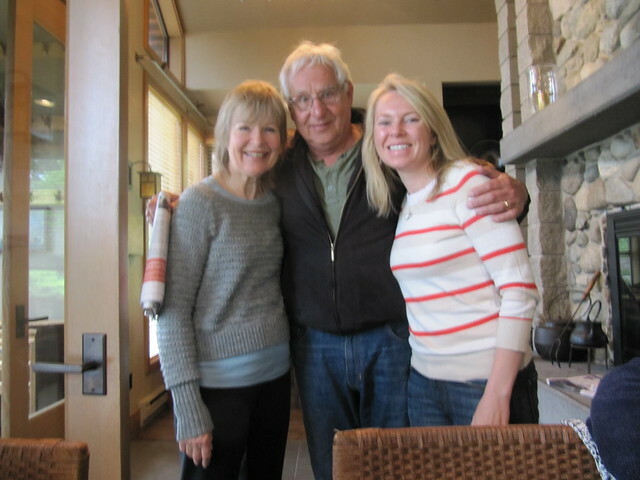 The former Mayor of Seattle, Paul Schell, runs the Inn with his warm and charming wife, Pam. They stop in to breakfast every morning to great their guests and thank them for staying there. It’s a classy touch. We spent two days immersing ourselves in the duality of being self-employed. The big questions that we wrestled with were things around what we wanted our business to look like,from a business side but also looking at what that would mean to our personal lives. Some women were scared to take the next leap, worried they’d be overwhelmed with too much business. Some women were already feeling overwhelmed and wondering how to possibly find any extra time to grow and others were wondering how to prepare their company for an eventual sale. It’s always tough to meet everyones’ needs in a large group but the lovely Mel from vNachelle facilitated and did an excellent job. I came away from the retreat committed to growing the Bramble Berry culture – ensuring that as we grow, my vision and the values the company has are fully embraced and understood by the new incoming class of pullers, packers and customer service team. I also was delighted with how much clarity I was able to get around being okay with growing more slowly so I can focus energy on our family. I would be remiss if I did not mention the epic, once-in-a-lifetime experience that the Inn at Langley offers in its interactive dining experience. This is the dessert: frozen hot chocolate that is frozen with liquid nitrogen (!!). It’s paired with homemade toffee pop rocks for a completely mind blowing experience. 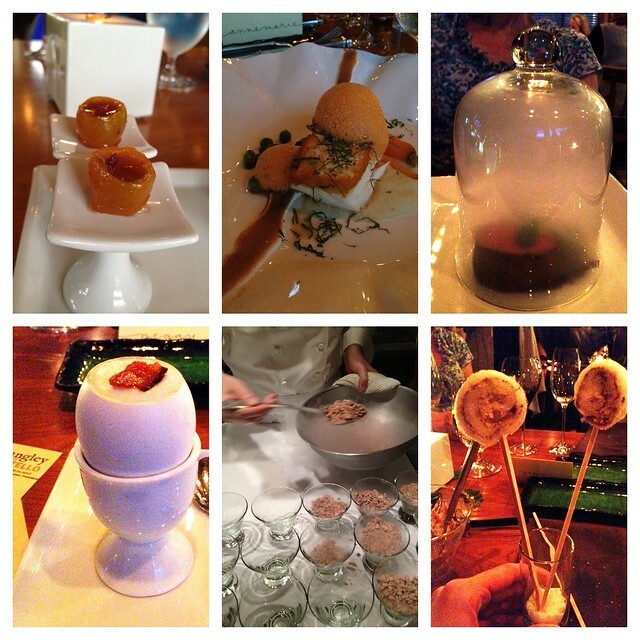 These are just a few of the courses and surprises that Chef Matt Costello prepared for us. The bottom right? Chocolate-Chip Cookie infused Cotton Candy. Top left? Homemade Old-Fashioned in Kumquats. The inventive cooking styles, techniques, flavors and the panache in serving made the meal a once-in-a-lifetime experience. The meal lasted over three hours, had 8-9 different course tastings and wine pairings, and was an experience I’ll be talking about for a long time. If you ever have the opportunity to visit the Inn at Langley, take it! It’s a wonderful Pacific Northwest getaway, in a beautiful town (and the town even has its own soap shop – Whidbey Island Soap Company) with an abundance of activities to keep everyone busy and happy. What an amazing experience!! Retreats are always great for the soul & I think they allow your mind to really refresh :0) You are truly inspiring in your words, your company & as a new mommy. You juggle everything with such grace! 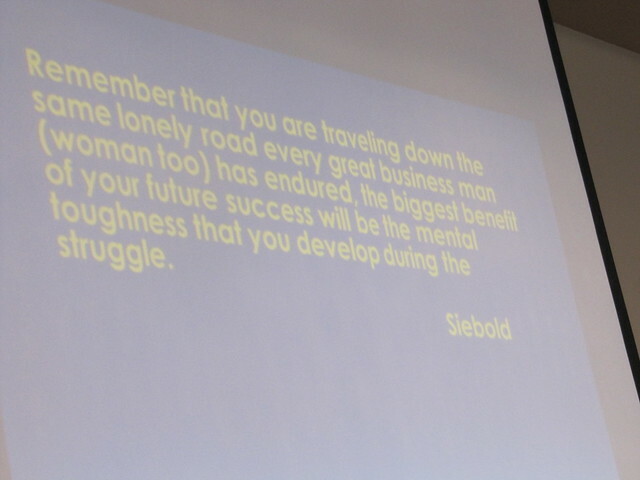 Thanks for sharing, love the quote at the end about mental toughness. After 12 years of leading IBN, my biggest payoff has been the knowledge that I can perform just about any task I put my mind to, and that opportunities are often disguised as problems. I am also pleased with very slow growth — one of the reasons I became a CEO is so I could be accessible to my children while they are young. Mission accomplished and then some! 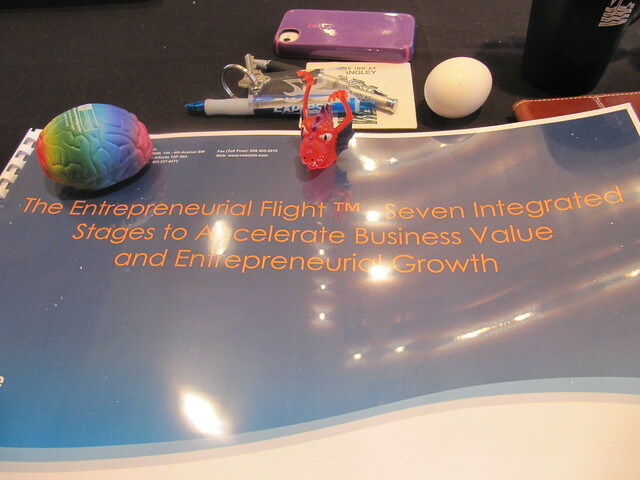 Entrepreneurship has provided wonderful flexibility and I wouldn’t trade it for the world. Glad you had fun at your retreat! The quote at the end was awesome – it reminds me about the quote that … Dwyer? said. Something about “in trying to achieve your goals, you become a person worth knowing” (or something like that!). The retreat was lovely – really soul enhancing – though I did miss the little one. Thank goodness for iPhone Facetime so I could video chat with him a couple times a day! What a great week-end you had and the food looks drool worthy. What a treat. AM, the number of women small business owners who make it to grossing over one million dollars is sadly too small. 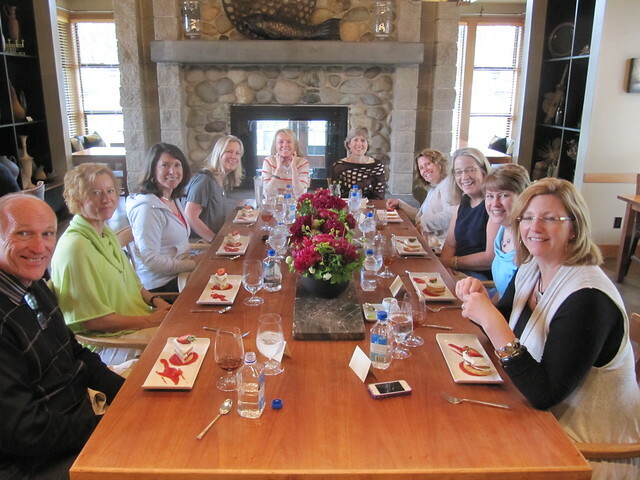 It’s wonderful that you gather with other women to discuss business and growth because women often have a unique perspective to running a business. Thank you for posting everything soap and beyond. You inspire many! Oh you are SO right. I think the amount of businesses in the US that gross over a $1 million is 3% and of that, it’s less than half a percent than are owned by women. That makes the amount of small business run by women extremely small. That’s another reason that I’m so passionate about helping women-owned businesses to grow. It’s all about bringing eachother along, sharing what we know and leaning on eachother through the rough patches.